Welcome to the Sevier County Clerk’s Online Marriage License Office. We offer five unique online features found virtually nowhere else in the United States. So, if you are getting married in Sevier County within the next 30 days and want to fill out a marriage license pre-application, please select the link at the bottom of the page to fill out and submit an online pre-application for a marriage license. 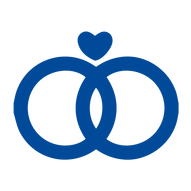 Or, if you have been married in Sevier County and would like to order a duplicate marriage certificate, please select the link at the bottom of the page. We even offer a search engine from our archives library. Using this link at the bottom of the page, you will be allowed to search for all public information held by our office on any particular marriage record back to the 1870's. Just give us one piece of information to search by, on either the groom or bride, and we will do the rest. Need more Marriage License Information? Please click on the links above. So, whether you are just here to surf around, or need to use our state of the art online service center, enjoy our new website! We are not able to send out applications for marriage license. Both participants must appear in person to pick up the marriage license. Fee for Tennessee residents is $101.00 cash, or we also accept Visa or Mastercard with a small processing fee. The $60.00 fee will be waived if applicants complete a four hour premarital course and present a notarized certificate of completion, which can be obtained through our office. No marriage license can be issued to anyone under 17 years old. No exceptions. If one applicant is between the ages of 17 and 18, the other applicant cannot be more than four years (48 months) older. No exceptions. The provisions allowing judges to waive the age restrictions have been repealed. Underage marriages can no longer be authorized by court order. If a minor child is interested in applying for a marriage license, you will need to contact our office for specifics. If you have any questions, please feel free to contact us at any time. ​Click the above link for the license pre-application. Click the above link for the duplicate certificate request. Processed daily - allow 7 - 10 business days.